Popular lemon and theme with lime's citrus motif It is a seal of a summer handle with cool drinks and shaved ice. Thank you seal "Lemon & Lime" [35 sheets] Cute little queue seal with a small gift. Popular lemon and theme with lime's citrus motif It is a summer handle with cool drinks and shaved ice. Greetings for each summer vacation or season · It is useful for present wrapping ♪ In total 7 pictures contain 5 pictures at a time, totaling 35 pictures. To the products sold at handmade items and flea market sites, ♪ to simple wrapping easily pasted Even just petting it on a handicraft such as a wedding makes it a gorgeous impression! 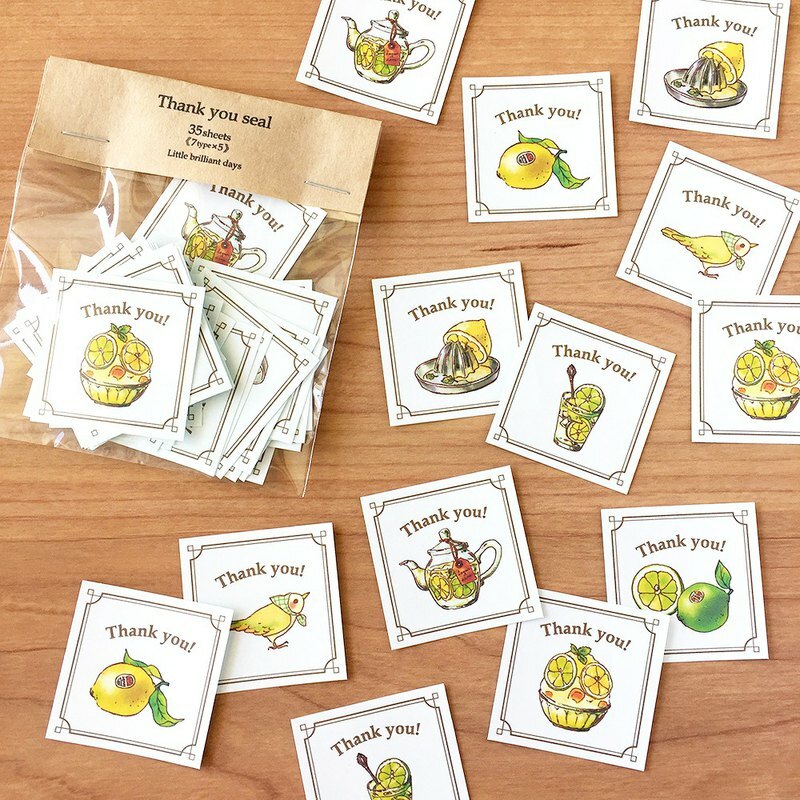 ★ Thank you seal · · · 35 pieces (7 patterns × 5 pieces each) [Size] Approximately 40 mm × 40 mm * Output to white seal paper, by household inkjet printing. ▲ Attention ▲ This item is printed by household inkjet printing, we produce one by one by hand. There is a case where there is a gap of about 1 mm cut line. Those seeking perfection like ready-made items, please refrain from purchasing. Also note that the ink is weak against water wetting.